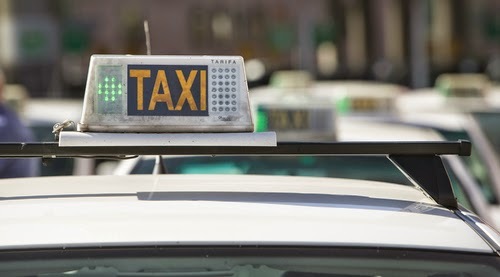 don't get caught: Of taxis and PDFs: Caught behind the curve? In Washington, DC, taxis are at best a sore point. It took a fight just to put meters in the cabs. Most don't take credit cards or use GPS. But alternatives abound: Stands of easily rentable bikes sit all over the metro area, along with ZipCars and Car2Go and other street-based rentals. Public transportation ridership keeps rising. And the car-hailing app Uber's taken the town by storm, with GPS and credit cards built in. About 49 percent of the World Bank's policy reports...have the stated objective of informing the public debate or influencing the development community. This study uses information on downloads and citations to assesses whether policy reports meet this objective. About 13 percent of policy reports were downloaded at least 250 times while more than 31 percent of policy reports are never downloaded. Almost 87 percent of policy reports were never cited. The bank issues nearly a report a day from its various offices around the globe. That's a lot of investment for very little return, even if, as the report duly notes, some of the reports are not intended for a large audience. The Post also looked at the high cost of reports produced by federal agencies on the orders of the Congress, which also go unread. In Washington, there are as many of those as taxis without credit-card machines. Interactive web sites: On Science Blogs' look at the recent White House climate change report cites its interactive web approach to what a "report" could look like. See the final paragraphs of the post for the commentary. The National Climate Assessment, as the "report" is known, does come with downloads, but they're broken out by topic and section instead of served up as one wad of info. And there are many more features to use to dip into the report contents--here, downloads are an extra, not the main course. Most notable is the way a mass of information is broken into short, digestible sets of information. Add value and insight: Sites like Present.me let you add narration to slide decks--and PDFs. Your narration can be in audio or video format, and the result will be embeddable and shareable. In Present.me's tests, PDFs with the added narration were 86 percent more persuasive than those with only written content. Bonus: It makes your PDF easy to use on many devices and platforms. Blogs: If I had a nickel for every client who told me in one breath "We don't have time to blog" and in the next, "Here's our latest PDF report," I'd be rich and lying on a beach in Bali. Right now. When the urge to publish a report comes over someone, start a blog instead. You'll get the information and ideas out sooner and in more useful, shareable form--and you can do what the marketing-like-Uber article suggests by benefiting from the crowd's wisdom in the process. Conference plus social: Put the "report" right in front of an audience...a live audience. Convene a conference with the experts who would have put the report together. Add live-tweeting, conference blogs and other interactive social features, from videos of the talks published on the web to links to other resources (what would have been the references and footnotes, back in the day). Length and format overhauls: Psychotactics Zingers blog nails what you should be aiming for in How to quickly get customers to consume your report (and come back for more). It's about informational reports that websites offer for free to engage customers...but your PDF reports would be all the better if you adapted them with these tactics. Have you reformed your taxi-like PDF reports into sleek, easy-to-use Ubers? Share your tactics.